FFind out more about planning an event in South Africa, including information about regions and how we can assist you in the planning process with resources and toolkits. Offering quality facilities, venues and service providers, South Africa is an ideal conference destination, hosting many world-class congresses, conventions, events and trade fairs each year. With more than 1 700 meeting venues, and international convention centres located in Johannesburg, Cape Town, Durban, Pretoria, East London and Port Elizabeth, South Africa is equipped to take care of any meeting and event need no matter how large or how small. South Africa's warm and welcoming people, rich cultural experiences, fascinating history, award winning hotels, renowned food and wine, magnificent natural attractions and world-class infrastructure will enable you to create the ultimate incentive programme. 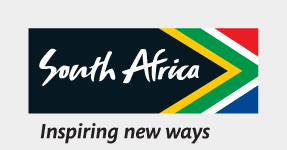 Hundreds of organisations from across the country choose South Africa as their destination of choice. Planning a meeting in South Africa?Find a venue here.